Federal funding for multi-institutional collaborations has become a priority for many federal agencies. 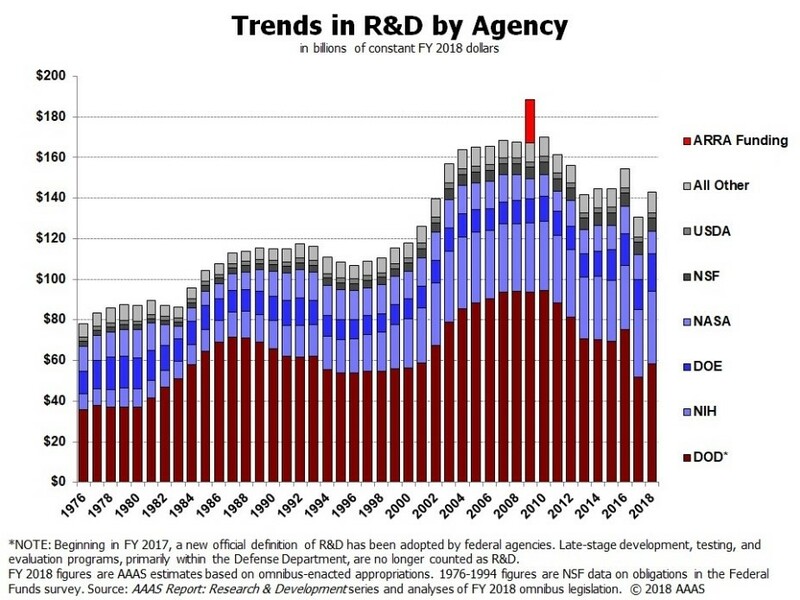 Federal research and development (R&D) funding has been stagnant since the early 2000s; hence, many agencies are prioritizing high impact research in this increasingly competitive research environment. Collaborations, in their current form, can range from swapping ideas over coffee to large multi-disciplinary, multi-national efforts, such as the Large Hadron Collider or the Human Genome Project. 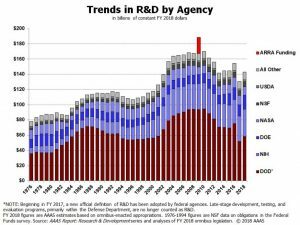 Collaborative projects afford the federal agencies several tangible benefits, including increased fidelity and decreased duplication from sharing equipment in core facilities, increased likelihood of commercialization and translation of results into clinical practice, and a more equitable division of resources across scientific disciplines. The Department of Energy’s (DOE) Bioenergy Research Centers (BRC) are a primary example of a high impact, multi-investigator research effort. Over a 10-year period (2007–2017), three BRCs produced 2,696 peer-reviewed publications, 619 invention disclosures, 397 patent applications, 199 licenses or options, 101 patents, and 14 company startups. Multi-institutional and multi-disciplinary research awards are very prestigious and tantalizing for researchers; however, they’re also very costly and time-consuming to develop and coordinate. A 2015 study on the benefits and costs of grant writing found that the average federal research proposal takes 116 PI hours and 55 Co-PI hours to plan the concept and write the proposal. Therefore, a grant with up to five PIs/Co-PIs could cost investigators over 300 hours in total time to develop. Since writing a multi-institutional proposal of this magnitude requires a large investment of time and resources from PIs, co-PIs, institutional leadership, a proactive and regimented plan is crucial for success in this highly competitive research environment. McAllister & Quinn actively tracks large, center-level opportunities, so we welcome conversations with any researcher or institution that is interested in proactively planning and pursuing one of these funding opportunities. ©2019 McAllister & Quinn. All rights reserved.